NEW! 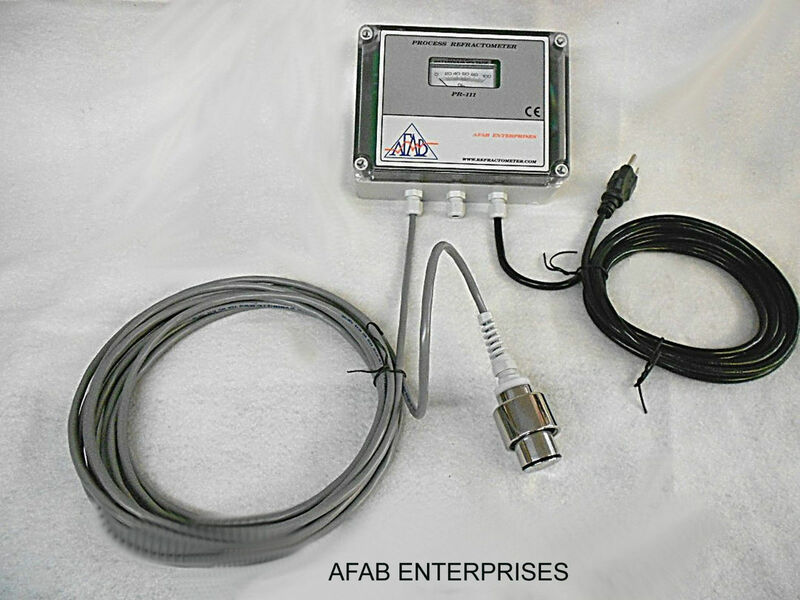 AFAB Enterprises PR-1000 Inline Process Refractometer Calibration included! The PR-1000 Inline Process Refractometer provides a continuous readout of the dissolved solids present in a process liquid. 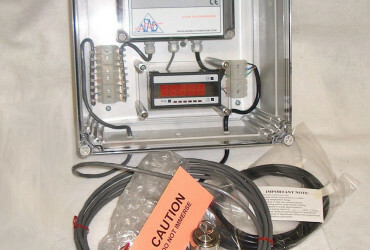 Price includes calibration to your specific requirements . The PR-1000 In-Line Process Refractometer can continuously monitor and control the concentration of dissolved solids or soluble liquids giving you a temperature compensated reading which can be easily correlated to percent solids, or percent concentration. The versatile PR-1000 Refractometer comes standard with a 4-20 mA output which allows you to record and automatically control your critical process. for acidic or caustic solutions. Comes standard with a 150 psi optical sensor. A 20' sensor cable and a 10' power cord are also included. 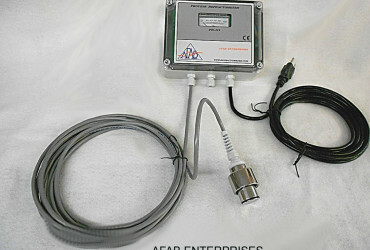 Non-Isolated 4-20 mA output when digital display units are not used, 5% of Span accuracy guaranteed. Calibration Range determined when ordered. Temperature Range determined when ordered. Operating Pressure determined when ordered. Power Supply available in 120vac; or 240vac. 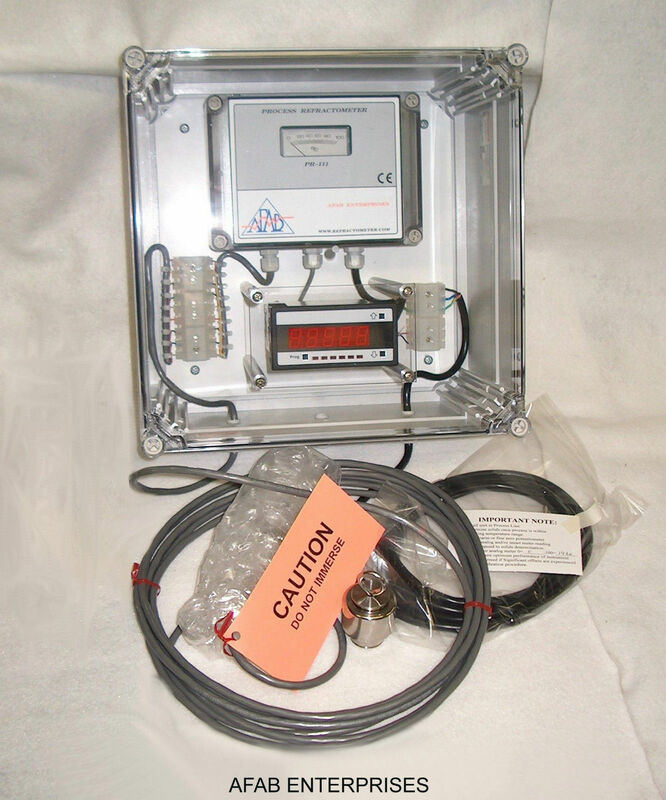 Enclosure - NEMA-4X - for PR-111 & Smart Meter, provides additional protection for extreme industrial conditions. If you require a longer sensor cable, add $1.00 per foot beyond 20' to a 620' maximum length. Sensor pressure ranges greater than 150 psi are available on request. Process being measured; Calibration range; Power supply; Operating pressure required; Temperature requirements; Type of Adapter required. Electronics Enclosure Dimensions----- Width - 7.09"